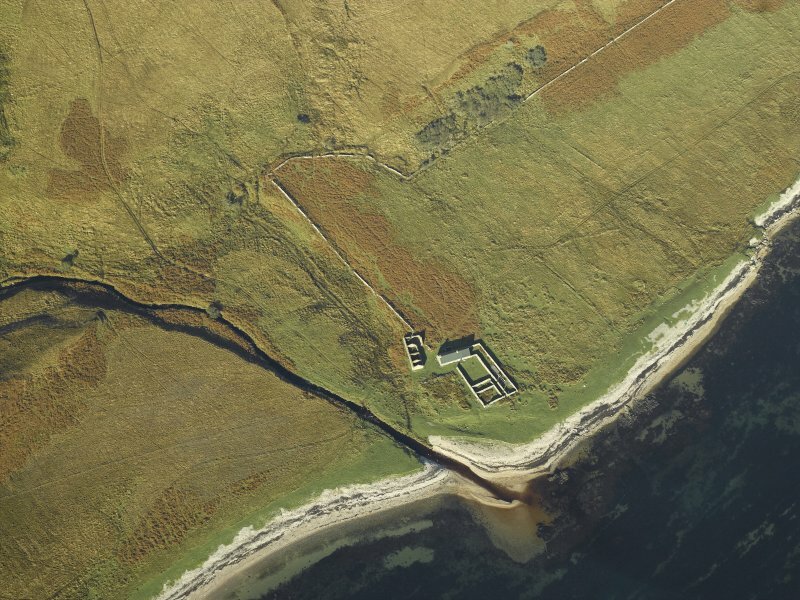 Oblique aerial view centred on the remains of the cottage, rig and sheepfold, taken from the NW. 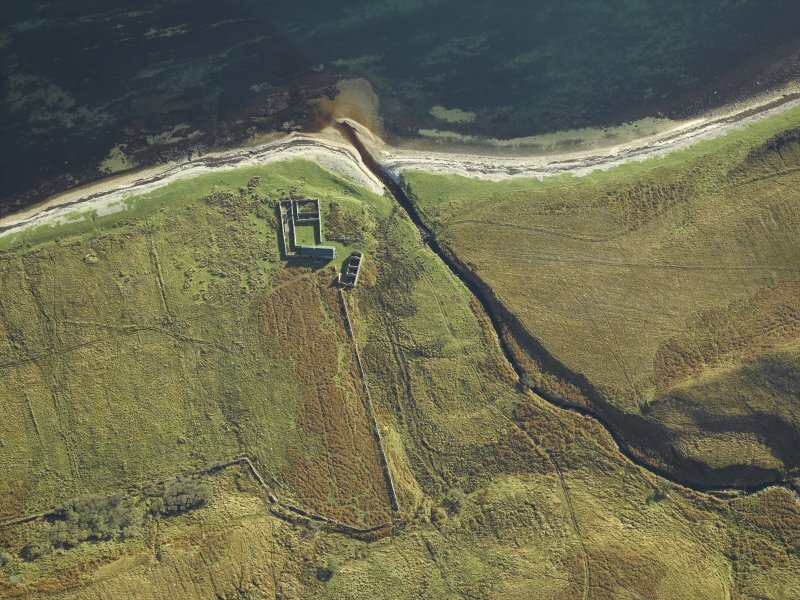 Oblique aerial view centred on the remains of the cottage, rig and sheepfold, taken from the NNE. 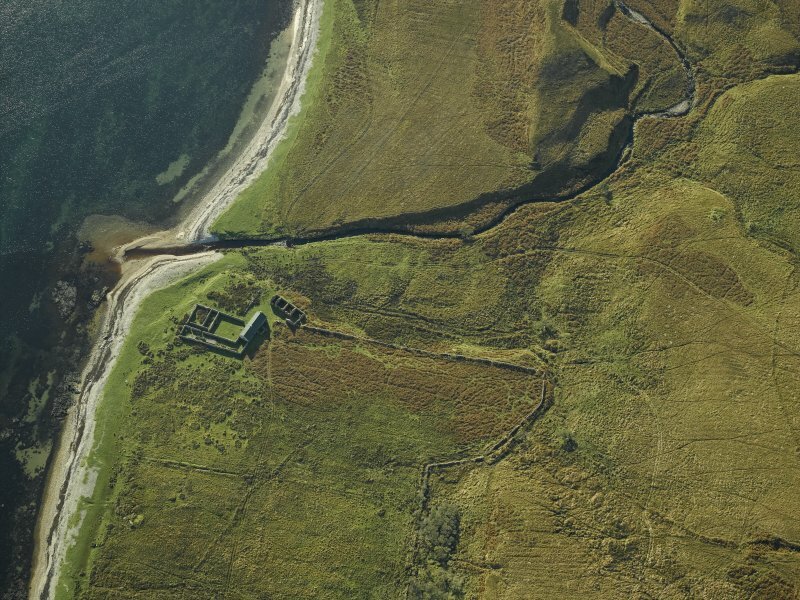 Oblique aerial view centred on the remains of the cottage, rig and sheepfold, taken from the SW.
Oblique aerial view centred on the remains of the cottage, rig and sheepfold, taken from the SE. 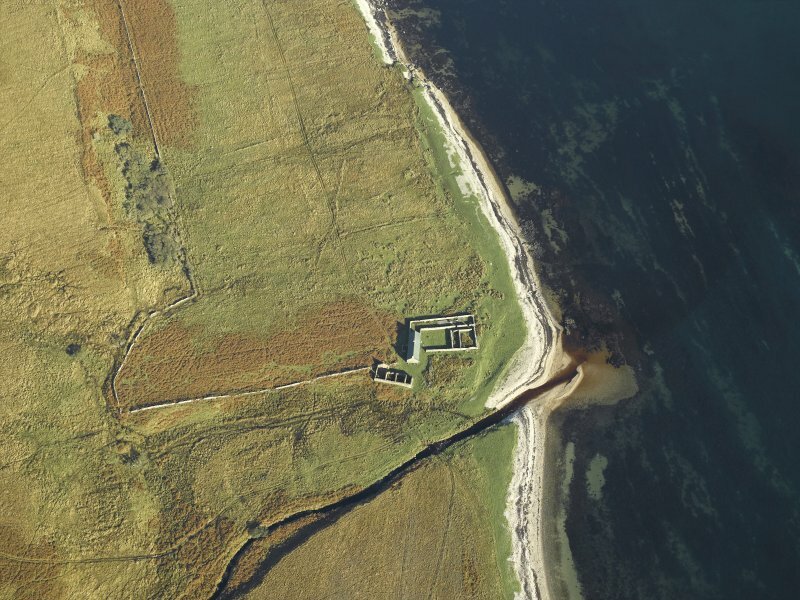 Manuscript annotation on RCAHMS working map indicates 'Mid C19 Shepherd's cottage and outbuildings'. Depicted as roofed on 1st ed. OS 6-inch map, Argyllshire, sheet ccix, surveyed 1876.